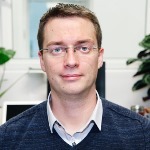 Dr Tomas Frederiksen is co-investigator on the ESID natural resources project, which tracks the politics of natural resources and inclusive development over time. His work for ESID focuses in particular on the interactions between political settlements and corporate social responsibility at multiple scales in Ghana, Peru and Zambia. What made you want to work in development originally? I decided very early on that I was a global citizen, interested in problems globally, and very aware that I had certain life chances just by dint of where I was born. I didn’t think that was right, and I wanted to travel. So I did a degree based around looking at those problems, and went on from there. Tell us about your experience and background. I did my undergraduate degree in Development and Geography at Sussex University. I then worked in development in Denmark for a year and southeast Europe for four years, involved in youth policy and youth organisations. You can only get so far in an organisation without a postgraduate degree, so I came to Manchester to do a Masters in Poverty, Conflict and Reconstruction. At the end of that I applied to do a PhD in Geography, and then did a postdoc at the University of Toronto for a year. It’s all been about mining. My PhD was about the history of mining and how it changed. Doing research in the Zambian Copperbelt, I found that lots of companies were spending money they didn’t legally have to, to improve their social and environmental impacts. So I went to the University of Toronto, a global centre for mining finance, with a big stock exchange, to look at international standards. I continued that research back in Manchester, where I had a two-year lectureship. I then got a British Academy research postdoc, which I’m just finishing now, looking at what difference these international standards in mining make. Why do you think it is an important research topic? The private sector is being asked to play a greater role in development – and in society in general. It has been a trend for the last 20-odd years, the view that states are limited in all sorts of ways, and that we should have other actors doing things that states normally do. With the private sector so important, there’s a real interest in where social and economic goals can align, where private actors can also help wider society – they talk about a win-win situation, creating shared values. I’m interested in the questions of: under what conditions do companies choose to be more socially oriented and improve their development impact? And, when they do choose to do that, does it actually improve things? There’s a lot of research on why companies should be nicer, but there’s not been much research on whether this makes things better. That’s what I’m interested in. My PhD research was on the origins of inequality in Zambia. As the mining industry was set up, they created a series of institutions that got money and copper out of the country very quickly and efficiently, and left all the bad stuff. You see those similar institutions around the world today, very much geared towards servicing global markets and not very well geared towards protecting local citizens and ensuring maximum local benefit is accrued. One of the ways mining companies can help locals and help reduce inequalities in the countries in which they are operating is by supporting local forms of development. I am interested in the ways in which they either do or don’t, or whether the system means they can’t possibly ever do so. What does your research show about why companies do choose to improve their development impact? It is primarily about self-interest. But in the mining sector in particular, it comes down to the idea of risk management, which shapes so many business decisions. In the mining sector, you are spending big money before making a penny. Mining involves decades-long investments, which can’t be moved, and volatile international metal prices, so risk management is really important. Investors want to know their money, and the risks to it, are being managed sensibly. So, for mining companies, being more socially oriented is mainly about risk management. Working with communities is as much about making sure they don’t cause trouble to the operations later, as it is about leaving a positive legacy. When a mine closes, it doesn’t leave a positive legacy – even if it’s everything is done environmentally beautifully. Risk is the big idea, and it works differently at international and national scales. Any projects you are particularly proud of? I have high hopes for my [forthcoming] book, that it will speak about things that aren’t being spoken about much. I am really pleased that I am speaking to mining companies and trying to engage with them. I think it’s important that people in the critical social sciences do talk to the private sector. I’ve been able to do that to an extent. It’s been really interesting and productive for me, and I hope in the future for mining companies too. Many people in the mining industry want to do it better. There are also many who just want to make lots of money and be technically efficient. But the progressive elements are struggling with how to do right, in a way that is both profitable and helps locals. These are the people I am talking to. What incentivises people to have that social awareness when the bottom line is profit? As one senior executive put it, nobody wants to be the guy who polluted the river. There’s a danger in thinking about mining companies as a unitary whole. There is an enormous diversity of and within companies. Many [employees] will see their decent wage in contrast to the poverty around them and they will want to respond to that. It’s quite human. Then there are directives coming down from the top, that we’ve got to follow various standards, and investors want us to be doing various things. There are quite different motivations at different levels. What would you say are the most interesting findings in your work? The risk thing is universal, but the ways in which companies operate differ country to country, in response to national and local pressures. Some of it is about historical expectations about what mining companies do. If a local community thinks that for 60 years mining companies have been behaving in a certain way, and if a new company comes in and tries to do things differently, it will soon run into all sorts of trouble. So they end up norming towards certain sorts of behaviour. For example, in Ghana every mining company has a community trust fund that they pay into, with a board that pays out for various development projects in the local area, according to certain criteria. If you are in a company in Ghana and you don’t have one, you will be under a lot of pressure to set one up. In Zambia the expectation is all about what the nationalised coppermines did in the 1950s and 1960s, when they built company towns, with a paternalistic cradle-to-grave culture. There are amazing anecdotes, like “when a light went out in our house, my dad phoned up the company, and they came out and changed it”. The mining company did everything for its employees. When new companies go into new areas in Zambia, they say “brilliant – you can put the town here and the tennis courts here”. But the companies come in with very different expectations and they get into trouble. So they do end up behaving in some similar ways to these organisations. So there’s really common international stuff and then local diversity about how companies have to respond in different countries. Which of your findings are most relevant to policymaking? Policymaking by whom? For corporate policy there are very clear findings around being aware of what the consequences are of treating corporate social responsibility (CSR) as risk management. If you do this, you end up suppressing opportunities for development. If you think that development is about social change, and you come in with a CSR strategy that is about preserving the status quo, what ends up happening is they buy off elites to try to keep people calm, so that they don’t kick off and disrupt operations. It can end up being quite regressive. For government – for countries with many mining companies operating overseas, like Canada, the US, the UK, Australia – I do think there should be regulations that stop these companies completely trouncing human rights when they are abroad. There are complications, issues about extraterritoriality – can courts here decide about matters that happen under other legal jurisdictions? Increasingly we are seeing prosecutions of companies based in London and Ontario for things that happen in their operations overseas. I think some kind of direct legislation around that would be a sensible thing – that sets limits, but also sets clearer accountabilities. Is there a gap between academic research and practical advice on what to do on the ground? Closing the gap is something I’m interested in. But first you have to have a clear idea of what the problem is that you want to fix. I am still developing my thoughts on that. But I am talking to companies about my findings and they are saying, “We also did this, and that sometimes worked”, or, “We did this, which doesn’t corroborate with what you are saying”. This dialogue with practitioners is really important, it has sharpened my thinking. There are parts of the industry that are really keen to do things better and parts that are massively defensive and don’t want change. It’s about finding who to talk to. What is the change you would most like to see happen in development? In my field, the big change I’d like to see is clearer and more direct accountabilities for companies that are operating overseas. I think companies have all sorts of ways of not being accountable, and it’s the accountabilities that seem to drive change. The whole thing about risk management is that investors are interested in risk management, and boards and companies are accountable to investors – much more directly than they are to local communities on the ground. How is that affected by the political settlements in different countries? The slightly clichéd story that holds broadly true is that there are national elites that do very well out of the extractive industry. A lot of the money that gets collected around the extractive industry happens at national level. Some then have mechanisms to pay it back to areas of extraction, but some don’t. Peru has a big “we’ll give money back” mechanism, which has caused all kinds of trouble, but Zambia doesn’t. I’m interested in accountability here for actions overseas. Local political elites do not have a lot of incentive to improve local development outcomes, unless people locally start kicking off and causing trouble, but they have a lot of incentive to maximise the amount of money they can extract from the industry as minerals pass out of the country. Normally there are enormous flows of wealth. A lot of mineral-rich countries are also mineral dependent. So elites are able to skim off a tiny amount of the money involved in extraction, which gives them enough to pay off loads of people, to keep lots of people rich. There are many corruption opportunities around what political settlements literature terms ‘informal rent flows’. They don’t seem to produce particularly developmental outcomes in many countries. Who would you say is your politics of development hero? I come from a literature called political ecology, the politics of environmental change, and the founding fathers of that have done some amazing stuff. Tania Murray Li’s 2007 book, The Will to Improve, was really influential. She made the case that people trying to make things better can actually make things a lot worse. That really helped me develop some of my thinking. And James C. Scott has written some books around development, such as Seeing Like a State, which made a very similar point. Tania Li is good at bringing together Marx, Foucault and Gramsci. She’s a very flexible thinker. There’s a bit of conservatism on the Left of development. A lot of people don’t want these amazing, interesting, traditional societies to become consumerist Western-oriented ones, but if you ask the people in these societies, they often want electricity and jeans and to dress like the guy in the MTV music video. Li recognises this. A lot on the critical Left don’t. What does your life outside of academia look like? I’m half Danish, so I go back to Denmark quite a lot to see my family. I read, I do yoga. In terms of travel, I love the Adriatic coast – mountains that go to the sea, and an amazing smell of pine. I used to work in that area and visit the coast every weekend. I really like Muslim countries too, there’s a wonderful richness to Islamic culture. They put enormous importance on hospitality, treating guests well, the food is great. I also love cooking. Recently, I‘ve been into Mexican. Before that, Vietnamese, and before that, dhals. We have a tortilla press and make our own tortillas. Read working paper 66, Scalar politics and transnational governance innovations: A political settlements lens on the Extractive Industries Transparency Initiative in the Andes.